I have gathered these photos for the purpose of sharing with a 6th grade classroom this week. All photographs are by Destinee Blau Photography, other than a couple (which are labeled) by Keith Dixon Studios and 1, or 2 phone shots I took. They are in no particular order at this point in time and yes, there are more photos of me than there should be, strictly as the talk is about being the key makeup artist. I thoroughly enjoyed sharing these with students at Greeneville Middle School! They are some of the most dedicated fans EVER! For those interested, the book trailers are Serafina and the Black Cloak, Serafina and the Twisted Staff, and Serafina and the Splintered Heart. Produced by Bonesteel Films in Asheville NC. Books published by Disney Hyperion. A pause during the shooting of the ballroom scene in "Serafina and the Splintered Heart". Actors from left; Camille Beatty playing the sorceress, Bode Lizarralde playing Braeden Vanderbilt, and Genevive Beatty playing Serafina. From the set of "Serafina and the Splintered Heart", touching up actor Bode. Actor Genevive, checking out a phone shot by publicist Scott Fowler on set. Setting up a shot for "Serafina and the Splintered Heart". Close up of the face paint for the Sorceress on "Serafina and the Splintered Heart." I created this look entirely with Proaiir Hybrid paints. Author Robert Beatty confers with his daughter about a shot during the ballroom scene of "Serafina and the Splintered Heart." The face paint being applied on set. Ballroom scene from "Serafina and the Twisted Staff"
Ballroom scene from "Serafina and the Splintered Heart." Being goofy with director Paul Bonesteel, and actor Genevive Beatty during the filming of the first book trailer, "Serafina and the Black Cloak." Her hair ribbon was the bane of my existence during that film, as I could not get it to stay in place. 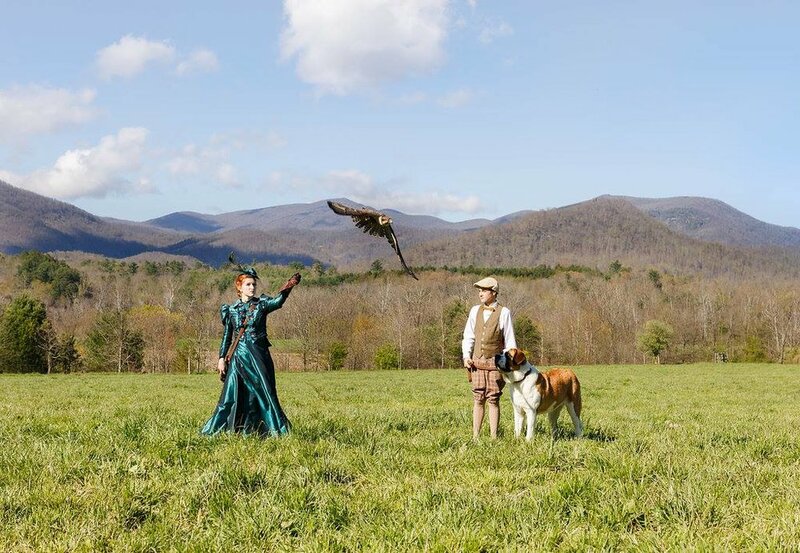 On the Biltmore Estate, during the filming of "Serafina and the Black Cloak." 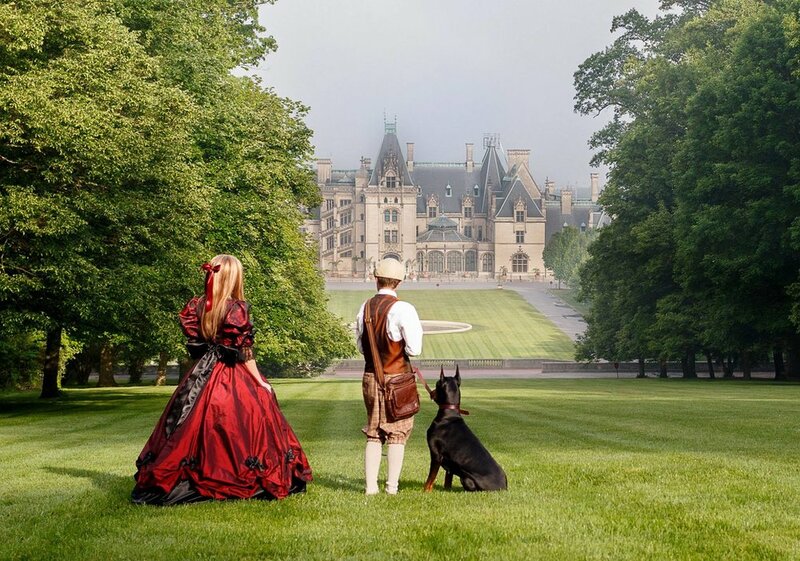 The crew observing Genevive during the filming of the stairway scene, in Biltmore Estate during "Serafina and the Black Cloak." My cat girl! During the premiere party at the NC Arboretum to celebrate the release of the book trailer for "Serafina and the Twisted Staff." 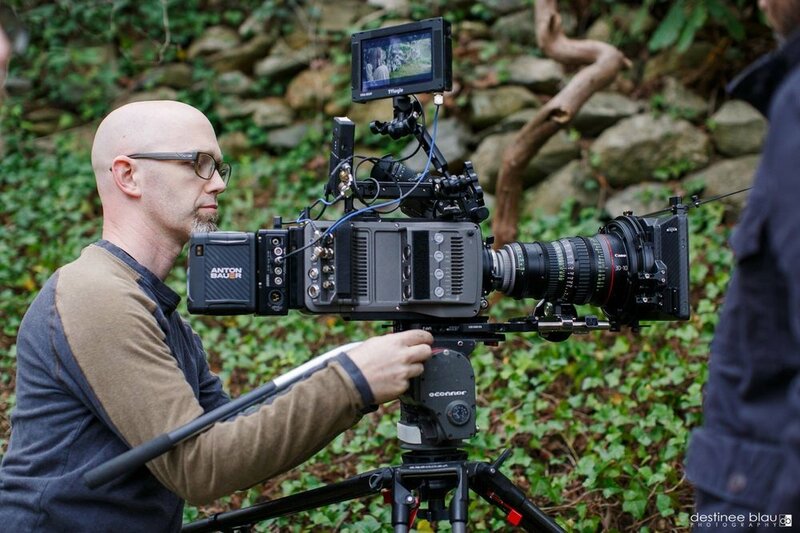 Bryan Fowler of Fowler Films, working those camera angles! Actors Camille Beatty and Bode Lizarralde, during the filming of "Serafina and the Twisted Staff." The dog walked off, dragging Bode behind him more than once! My tools remain the same, but the makeup studio changes moment by moment when on a film set. One must always be prepared for anything! Portability and flexibility are a must. Last minute touch-ups before putting the wig back on actor Genevive Beatty during the filming of "Serafina and the Twisted Staff." A Luna Moth? Nope, that was added post production. Chris Durfee does his best to stand in for a moth, along with some help from a light. The crew waits patiently, while I try to get tears streaming down Genevive/Serafina's face for a scene in "Serafina and the Twisted Staff." Serafina nervously watches the massive flock of birds, not flying overhead. Also a post production effect in this case during the filming of "Serafina and the Twisted Staff." Last minute touch-ups and a quick chat with director Paul Bonesteel of Bonesteel Films, producer of all three book trailers. Instructions for Camille, from director Paul Bonesteel, during the filming of "Serafina and the Twisted Staff." Assistant Patti Peters helps out for a bit during the filming of "Serafina and the Twisted Staff." Director Paul Bonesteel, and best-selling author Robert Beatty, having a chat during playback. Genevive patiently getting hair and makeup for a scene during "Serafina and the Twisted Staff." Patti Peters and myself during the Premiere party for "Serafina and the Twisted Staff." Jennifer and Robert Beatty in background with their youngest. First scene, from the first day of filming, from the very first book trailer. None of us had any idea what would happen with "Serafina and the Black Cloak." What an amazing journey it's been! Your wedding day is one of the most important events of your life. One of the most planned, cherished and exhausting days you will encounter. You’ve thought of everything...the cake is amazing, the dress is a dream, your location, your planner, your rings...all of it perfect. But what about your makeup? Sometimes, that is the last thing on your mind on that special day and yet, it is one of the most important facets to consider. Your makeup will affect how you feel about yourself that day. An amazing hairstyle and the perfect dress are oh-so-important. But we’re talking about the face you show to every guest, the face your life partner will stare into as vows are being made. It is the face that will stare back at you from every picture, for generations to come. It is the face that your photographer and videographer will capture and edit. That face needs to look and feel beautiful to you. Yes, to you. Your personal style is the first thing to consider. No bride needs to feel overdone on her wedding day. Are you a person who wears no (or very little) makeup? Then a glamorous look for you is natural and flawless. Are you a makeup addict, with an affinity for heavy liner? Then your wedding day will surely involve some false lashes and a bit more color. A bride should consider her every day look and then take it up a step or two, to be her most glamorous self. ~Is your foundation photo-friendly? 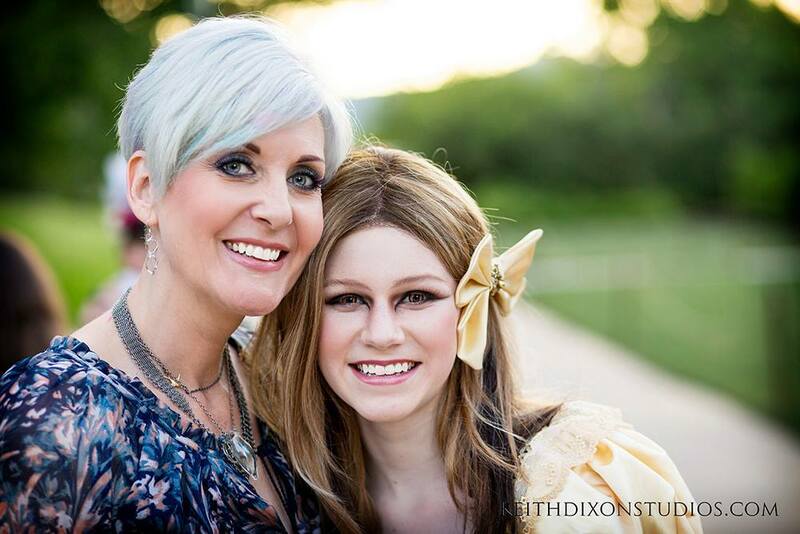 A foundation that is not can lead to a pale or discolored face in flash photography. 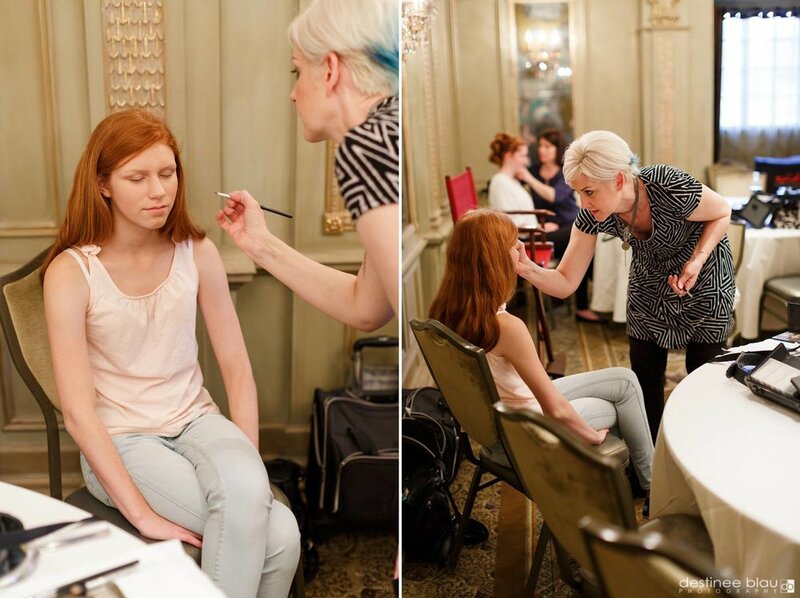 Airbrush makeup is flawless, lightweight and looks amazing both in-person and in photos. Some hand-applied foundations are photo-friendly, some are not. Find this out before your big day! ~What shapes and colors help bring out your eyes or your lips? What features do you want to focus on? Bridal makeup is typically a beauty look which means we want to play up your features and accentuate the natural colors that exist in the skin. Contouring and highlighting can accent a cheekbone, eyeshadow can open and exaggerate the eyes. ~How long will your makeup stay on? Good bridal makeup is going to last all day. You want to look as stunning at your reception as you did at your ceremony. Products and techniques that stay put are a must for brides! ~What style do you want to convey? Natural and polished or dramatic and sassy? Is your wedding based on an era? Then makeup to match will really bring the whole wedding look together. Understanding the makeup styles of different eras, understanding makeup trends for the season and knowing your personal preferences and style will help you choose a look for that day. ~Will you hire a makeup artist, use a friend or do it yourself? These are all valid choices that a bride needs to consider. If your friend does great makeup on him/herself, that does not mean they understand bridal makeup! Some friends are amazing with makeup and can do a fabulous job for your wedding. You still want to consider whether feelings will be hurt if at the pre-trial you don’t like what they do. Is the friend going to be working too hard the day of your wedding or will they enjoy that process? If you do your makeup yourself, the same questions apply; do your makeup ahead of time exactly the way you plan to do for your wedding and have someone take a few snapshots to see how it translates. On your wedding day, will you be more stressed doing it yourself or will you enjoy that process? When hiring a makeup artist, check out their portfolio. Find out how long they’ve been doing makeup and how many weddings they’ve done. Have they taken classes or received training? What kind of products do they use? Read through their contract and make sure you are both on the same page with every aspect of the big day. Will they do a pre-trial? Will they come to you on the wedding day? All of these questions need to be answered before you make a choice. If choosing to hire an artist, set your pre-trial somewhere between 4-8 weeks head of the wedding. When looking through fashion and bridal magazines, save pictures of makeup that speak to you. An artist will be able to re-create looks and/or advise you on how that look will translate to your face. I recommend that brides do not use their engagement shoot as a makeup pre-trial. You really want your look for engagement and wedding day to be very different! I often use the bridal portrait as a pre-trial. If bridal portraits are not being done, just choose a day when you can also include your hair pre-trial and spend some time pampering yourself. Brides who choose the DIY route may want to consider hiring a trusted makeup artist to give them a private lesson or two before their wedding. What a great way to treat yourself to education and skills that will be used for years to come, and give a boost of confidence for self-application on the wedding day! In the end, do what feels the best for your wedding day. If you hire someone, make them come to you so you can relax and enjoy that day everyone has worked so hard to create. Be pampered, focus on the joy of the process and be the diva of the day. Congratulations to all of you on such a momentous occasion! *I have worked as a professional makeup artist for over sixteen years and currently own Faces by Ren makeup and bodypainting studio in Johnson City TN. I provide brides with the very latest in bridal trends, airbrush makeup and on-location professional services as well as private lessons and classes at my studio.